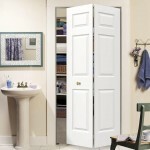 Bi-fold doors offer a clever alternative to conventional doors as they take up less floor space. Bi-fold doors offer practical solutions where space is at a premium. 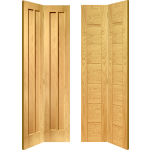 Bifold doors are available in a variety of styles that match many of our internal doors, choose from moulded panel bi-fold doors with smooth or textured finish, glazed bi-fold doors, Oak and softwood bi-folds. Bi-folds doors feature overhead tracks with top and bottom pivots at the jambs and hinges between leaves, giving you an effortless and quiet operation. 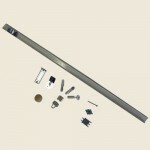 Bi Fold doors are manufactured to fit the overall door sizes shown and are supplied with reduced widths and heights to allow for track and pivot operation. Oak four panel bi-fold doors. Four panel Oak Shaker bi-fold doors. 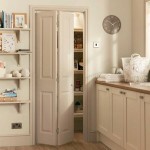 Palermo Shaker & Suffolk bi-fold doors. Four panel arch top textured bi-fold doors. 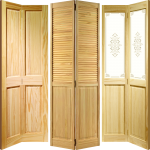 Knotty pine solid & glazed bi-fold doors. 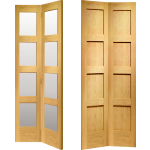 Solid & glazed pine bi-fold doors. Palermo & Worcester Oak bi-fold doors. Glazed & Mirror primed bi-fold doors. 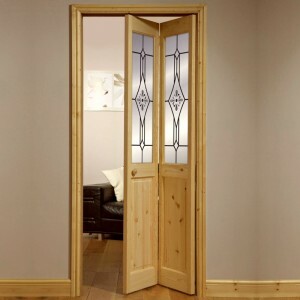 Glazed & Solid Victorian Four Panel Clear Pine Bifold Doors. FROM ONLY £79.16! + VAT. Vertical Panel Oak Bifold Doors. FROM ONLY £192.49! + VAT. 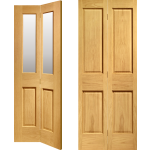 Glazed & Solid Four Panel Oak Bifold Doors. FROM ONLY £149.99! + VAT. Glazed & Solid Pattern Ten Oak Bifold Doors. FROM ONLY £166.66! + VAT. 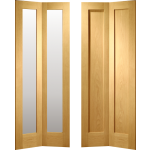 Solid Palermo & Worcester Oak Bi-Fold Doors. FROM ONLY £158.32! + VAT. 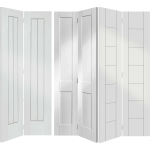 Glazed & Solid Four Panel Shaker Bifold Doors. 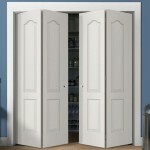 Solid Primed Palermo Shaker & Suffolk Bi-Fold Doors. FROM ONLY £129.16! + VAT. FROM ONLY £104.16! + VAT. FROM ONLY £87.44! + VAT. 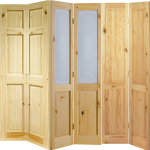 Knotty Pine Glazed & Solid Panel Bi-Fold Doors. FROM ONLY £66.66! + VAT. 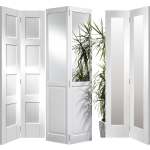 Solid Glazed & Mirrored White Primed Bi-Fold Doors. FROM ONLY £120.82! + VAT. FROM ONLY £91.66! + VAT.